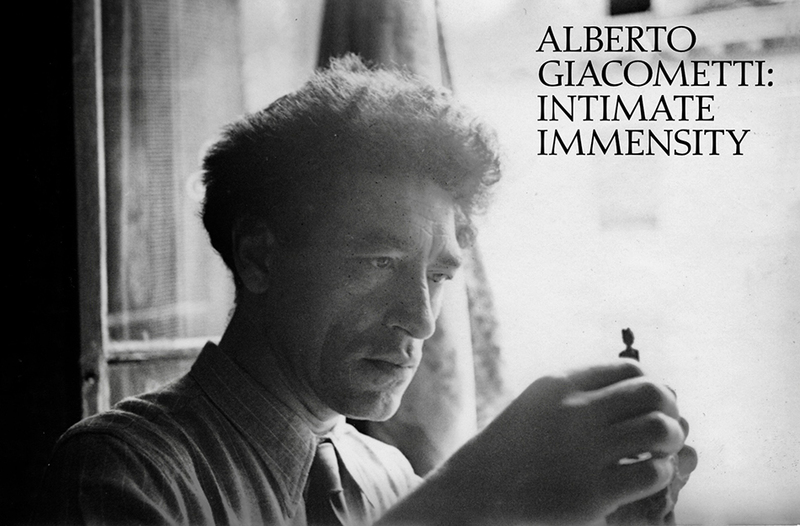 Luxembourg & Dayan is pleased to announce ‘Intimate Immensity: Alberto Giacometti Sculptures, 1935-1945,’ the first United States exhibition dedicated exclusively to the artist’s cycle of very small human figures created in France and Switzerland during the Second World War. 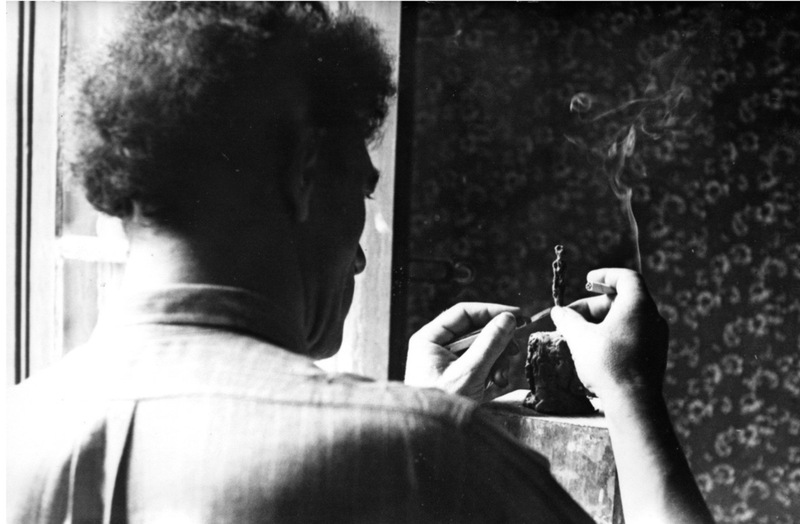 Giacometti in his room at Hôtel de Rive, Geneva, October 1944. Opening on the heels of the Solomon R. Guggenheim Museum’s comprehensive survey ‘Alberto Giacometti: A Retrospective,’ the exhibition at Luxembourg & Dayan is curated by leading Giacometti scholar Casimiro Di Crescenzo. ‘Intimate Immensity‘ is installed in collaboration with contemporary Swiss sculptor Urs Fischer, who shares Giacometti’s passionate commitment to redefining the human form as a conduit and conveyor for psychological experience. The choice to present the show at the gallery’s venue on 64 East 77th Street, Manhattan’s second narrowest townhouse, foregrounds Giacometti’s insights concerning scale and emphasizes their relevance to the contemporary conditions of sculpture. Evolving against a backdrop of unprecedented sociopolitical upheaval, this unique body of work represents a profoundly transformative phase of Giacometti’s career. At no more than three inches tall and as thin as nails, these works reveal the path that led the artist to the elongated figures for which he became famous in the final two decades of his life. In spite of their size, or perhaps precisely because of it, the figures in ‘Intimate Immensity’ are monumental in their presence, expressing Giacometti’s desire to withdraw from what he called ‘natural size’ in order to best represent his own perception of scale and experience. 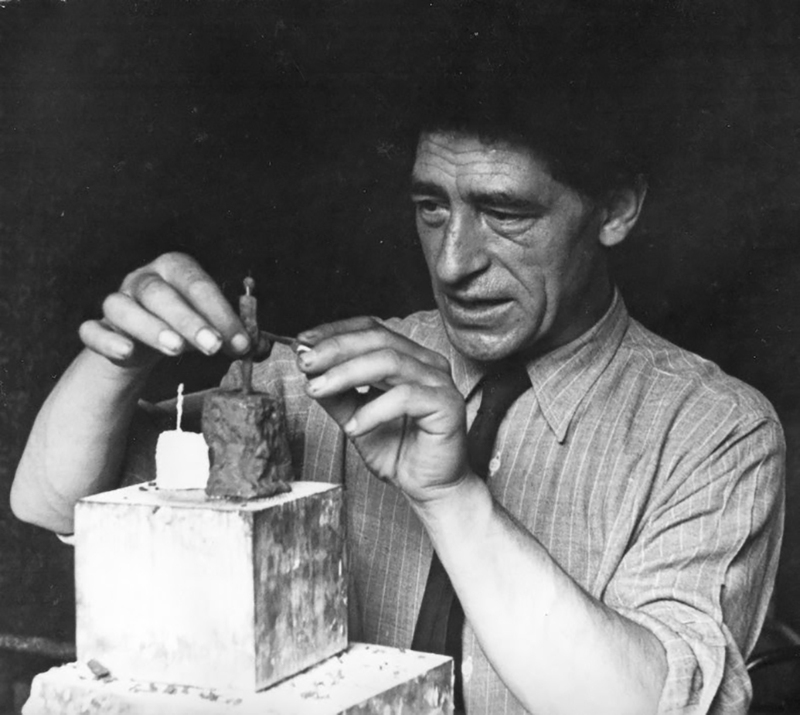 In addition to his sculptures, the exhibition will include a never before exhibited casket that Giacometti created from a matchbox to serve as a case for one of these figures. ‘Intimate Immensity’ is accompanied by a new publication featuring an extended essay by Casimiro Di Crescenzo, analyzing this period in Giacometti’s career; a translation of the rare interview with Alberto Giacometti on the subject of scale, conducted by Pierre Dumayet in 1963; and excerpts from Bachelard’s The Poetics of Space. In organizing ‘Intimate Immensity,’ Luxembourg & Dayan is honored to collaborate with the Pierre and Tana Matisse Foundation and other private lenders. Following ‘Intimate Immensity,’ the gallery’s New York space will host a survey of Lucio Fontana’s rarest ceramic works.